The club's senior ladies team were winners in 2012, 2013 and 2017, but were up against a very strong team from Leeds City AC. Team manager Nigel Brookes had two teams entered and both performed extremely well. The A team couldn't match the Leeds team strength - they were in first place from leg 2 onwards, but the team did finish well clear in second place to take silver medals - their 6th set of team medals in 7 years. New member Hayley Carruthers, who has been running extremely well on the roads this winter, had been put in the B team as this was her first road relay event. Hayley had another brilliant run to finish first on leg 1 and set the fastest long leg time of the day with a 26:42 clocking. Hayley's start leg was backed up by her team mates to finish a very creditable 9th overall and they were awarded the 1st B team medals. 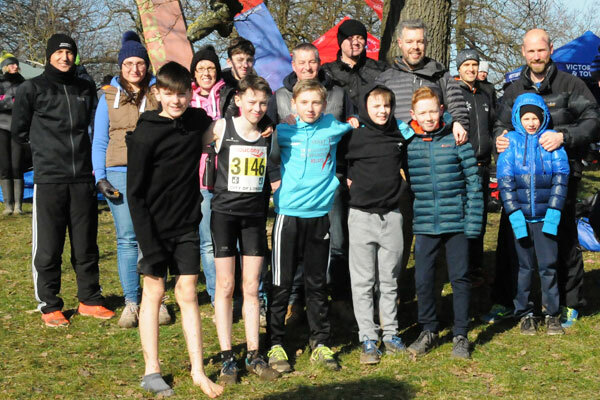 The men's team were looking to again qualify for the National championships - only the first 25 club teams from each area qualify for the national event - held at Sutton park on the 14th April. 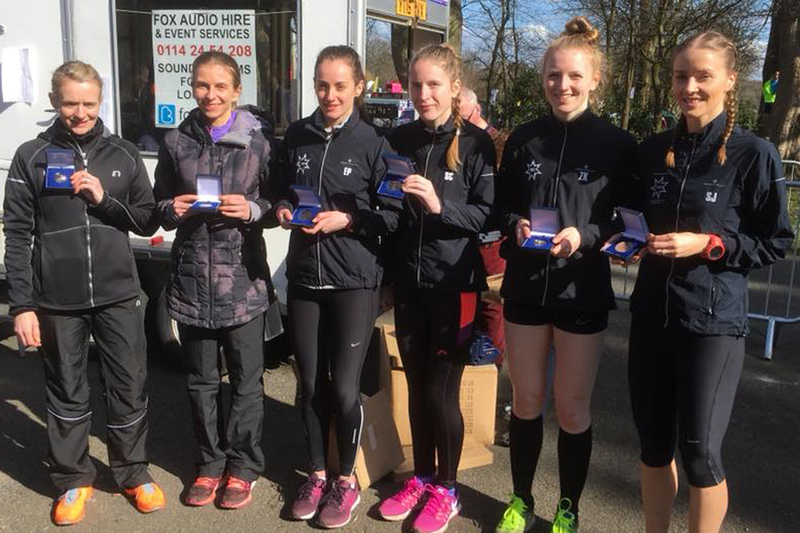 The team were 11th and 3rd Yorkshire club behind Leeds City (5th) and Hallamshire Harriers (7th). This is the 6th successive year that the club has finished inside the top 15 clubs - a remarkably consistent set of performances that are a credit to team manager Pete Shaw and to the athletes themselves. A big thankyou to Joe Massingham for his support after competing the previous day at Nottingham. Daniel Kestrel ran the clubs fastest long leg time at 24:06, and his training partner Arron Larkin ran the fastest short leg time of 12:08. In the 5K championhsips 4 club athletes were competing, Elliott Morton and Keiva Rennocks having good runs to finish 5th in their races, Beth Mount and Lahana Vardy also competing. 4 Heather Sellars (1) 28:12, 5 Harriet Buswell (1) 13:41, 6 Georgia Malir (1) 13:14. 4 Sophie Cowper (2) 27:41, 5 Zara Knappy (2) 13:51, 6 Samantha Hughes (2) 13:13. 4 Fiona Davies (7) 28:11, 5 Naomi Armitage (9) 16:10, 6 Robyn Lanceley (9) 16:23. 10 Richard Harris (11) 12:20, 11 Philip Hoole (11) 13:06, 12 Sam Clegg (11) 13:16.